With three lounges, three dining rooms, an open-air jacuzzi, a bar and six luxury cabins, the 50-meter "Aster" is one of Dutch shipyard Heesen's more modest superyachts. The Netherlands, which amassed huge wealth through the technical superiority of European shipbuilders during its 17th century Golden Age, is continuing its maritime tradition by carving out a prominent place in the luxury yacht industry. "It's a big year for us," Johan Kaasjager of Heesen Yachts told Reuters at his shipyard in Oss. 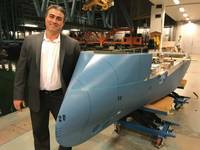 "We'll have delivery of three yachts this year and still a lot to come. The order book is very good at the moment so we're full till 2020." A new ship construction dock is so large it's been nicknamed "the cathedral". At 90 meters long it will enable Heesen to build its largest ever superyacht, the 80-meter Cosmos. Heesen has found a sweet spot in that 50-80 meter market segment, with demand so strong it cannot keep up, even after adding new facilities. Home to several of the world's top 10 superyacht builders, the Netherlands ranks second behind Italy this year in the builders of yachts longer than 24 meters, with 65 in the pipeline, data from Superyacht Times shows. Last year, the average price per yacht rose nearly 10 percent to a record 57 million euros ($65 million). "The reason for strong demand is that people are more trying to escape daily life," Kaasjager said. "A yacht of course, when you're out at sea, is fully private so it's the perfect way to relax and be with your family." The trend seen since the recovery from the 2007-2008 recession is for more luxurious, larger ships, with features such as waterfalls that double as projection screens, helipads and swimming pools, blurring the boundary with cruise liners. 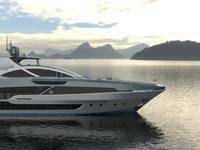 While Italy produces a greater numbers of ships and Germany dominates the market for mega yachts over 100 meters long, the Dutch are known for their reliability in delivery, high-tech specifications and speed, Kaasjager said. Top customers over the past decade have been the United States and Russia, accounting for nearly 40 percent of business, with Americans making up 22 percent of existing orders. The value of superyachts built in Dutch yards rose from 662 million euros in 2014 to nearly 1.2 billion euros in 2017, the report said, giving the Netherlands roughly 30 percent of global annual sales of around 4 billion euros. 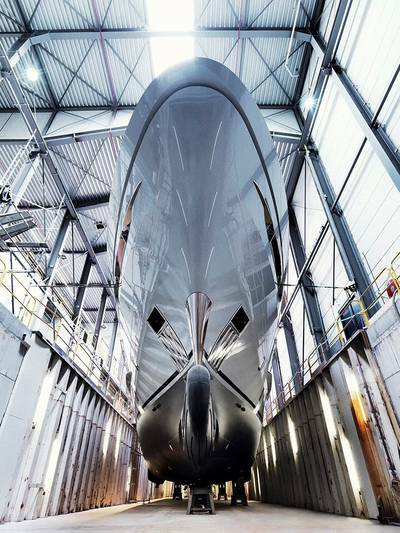 "It's also the Dutch mentality to build good yachts, good quality, on time, and we do what we promise", Kaasjager said.